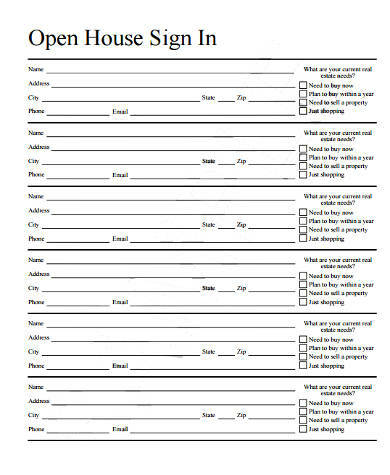 Collecting information from your guests or visitors can become an easy task when sign-in sheets are utilized. 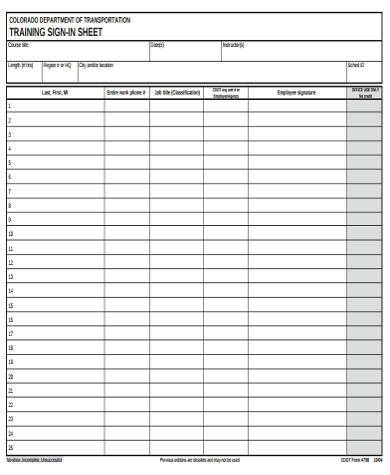 Many institutions, establishments, and individuals make use of these sheets because they are a very easy tool that can be used in various situations such as meetings, to record the reason for a customer’s visit, to track an employees attendance, or to monitor the number of people who attended a specific event. 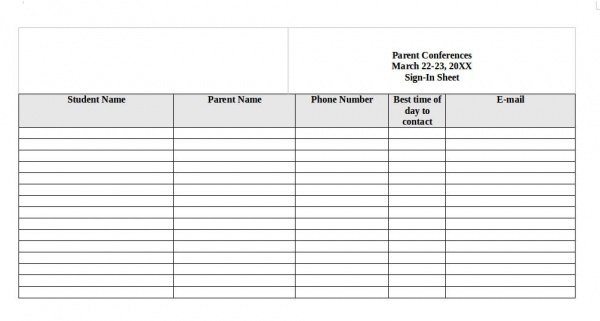 In this article, there are eleven Sign-In Sheet Samples that can be utilized by anyone for whatever purpose they may want to use a sign-in sheet for. You can browse through the samples and choose one that you think would serve as a good guide for creating your own sign-in sheet. What Is the Purpose of a Sign-In Sheet? 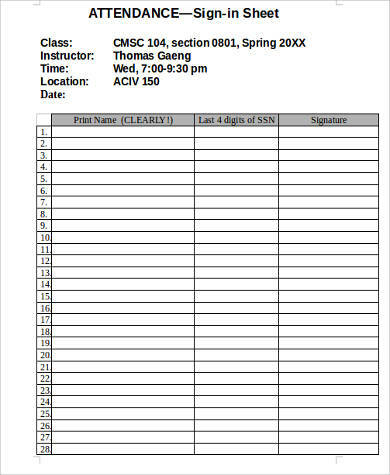 A sign-in sheet is basically a list of names with other fields collecting information that is relevant to the purpose of the sheet. The main purpose of a sign-in sheet is to keep track of whoever is coming in and out of the establishment, institution, or event. 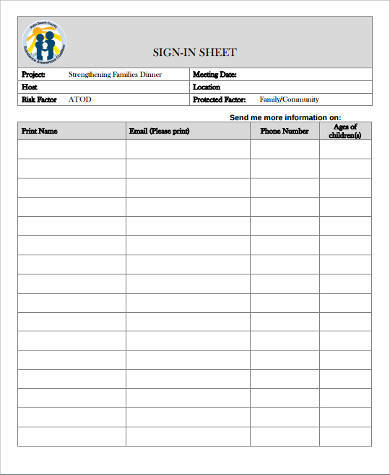 Employees, visitors, students, and colleagues can be monitored with the use of sign-in sheets. 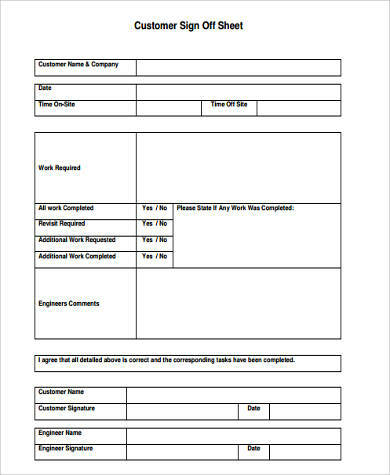 What Are the Information Collected by Sign-In Sheets? 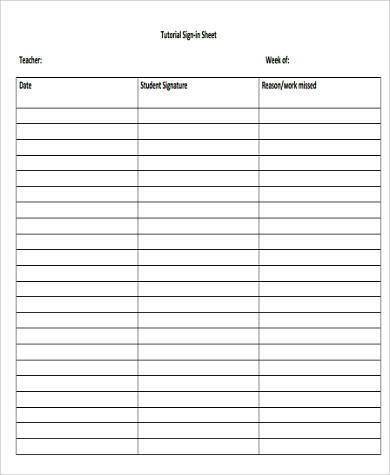 Sign-in sheets for different purposes will collect different types of information. Some may require the last four numbers of the SSN, home address, and other additional information pertinent to the purpose of the sign-in sheet. 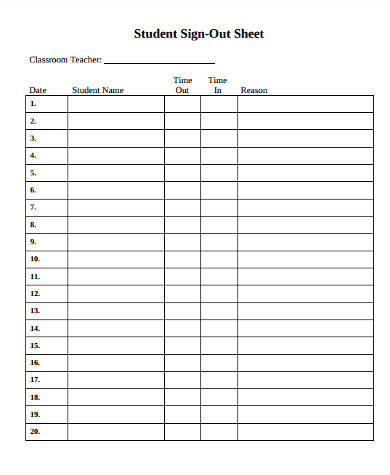 Sign-in sheets are very basic and are very easy to use. 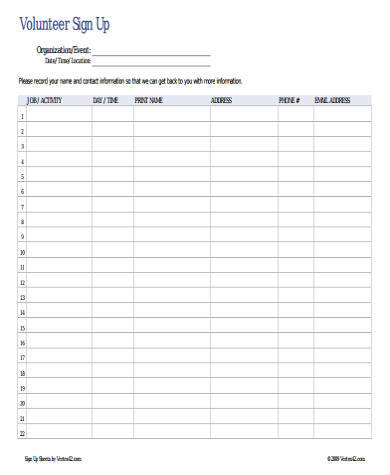 A person—employee (see Employee Sign in Sheets), student, patient (see Doctor Sign in Sheets), or visitor—will fill out fields asking for some information. These documents are immensely useful for situations where there will be a large number of people that needs to be monitored. Making use of sign-in sheets is a surefire way of being able to collect appropriate data from people. Although these documents may not be that hard to create from scratch, using the ready-made templates from this article can save you a larger amount of time and expel a minimal amount of effort. Always remember that handwriting varies from person to person, so be sure to provide enough space for writing, especially if you are asking for a person’s signature. This article provides you with multiple sign-in sheets that you can make use of whenever you need one. You can use these for various situations such as monitoring attendance in the office or school (see Student Sign In Sheets), events, and meetings. 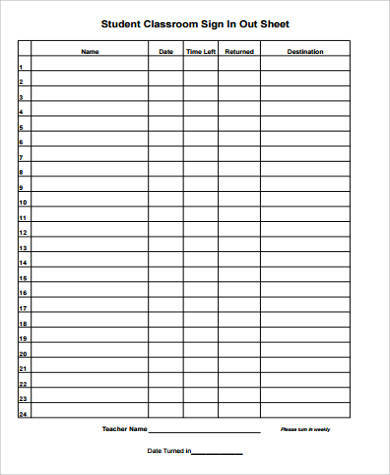 There is a wide array of sign-in sheets you can choose from that come in different layouts and designs. 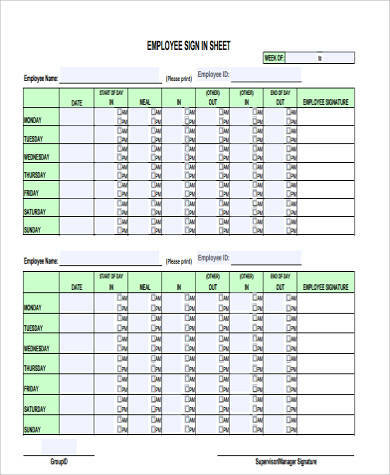 You can download these sign-in sheets for free and directly from this article in Word Document and PDF format by just clicking the DOWNLOAD button, all of which are easy to edit and match with your purpose for using a sign-in sheet.